none is more famous than that flown by the Canadian ace, William George Barker - B6313. and delivered to the Aeroplane Acceptance Park at Kenley on 11 September 1917. On the 24th September B6313 went to No.28 Sqn RFC based at Yatesbury. and on 2 October a new ,C, Flight commander joined the squadron. William George Barker and B6313 were to be together for the next year. which he didn't claim as he wasn't supposed to cross the lines. 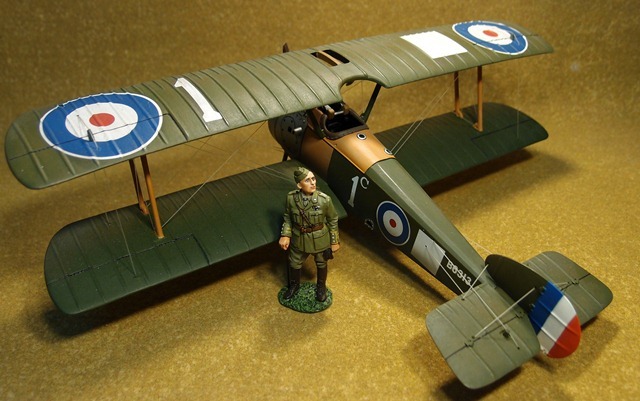 and Barker claimed a green Albatros D.III shot down on 20 October. when No.28 Sqn. was notified that it was to be transferred to the Italian front. 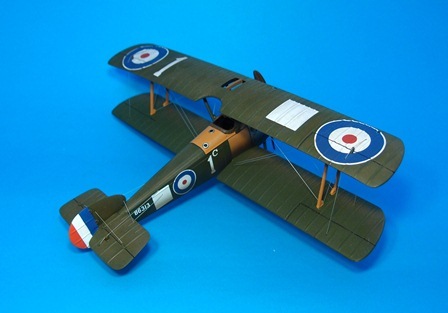 At this time B6313 carried the No.28 Sqn RFC's marking of a white square on the fuselage and upper wing. Additionally each aircraft carried an identifying number and flight letter.